To be good at anything you do, you have to have a clear purpose, therefore training has to have purpose. 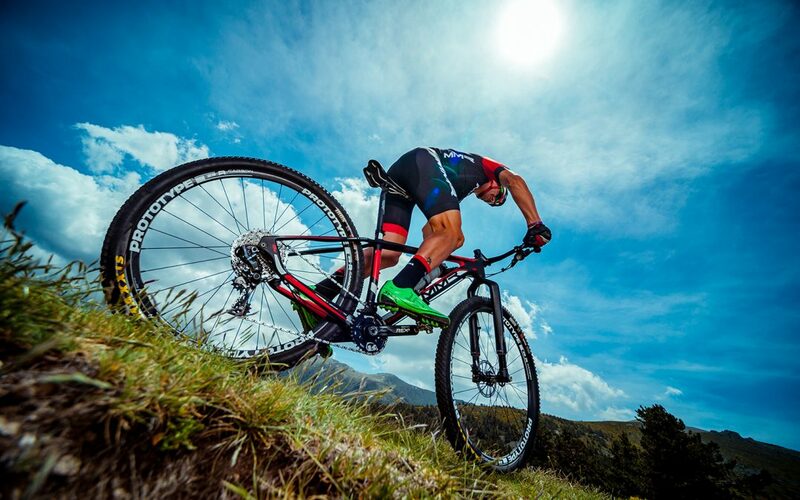 In mountain biking, that purpose is to improve your ability to power through and recover from the frequent hard efforts required by riding off-road. Training with a power meter will enable you to become stronger, faster, and fitter, which – when combined with superior technical skills, will make you an almost lethal mountain biker. Having a tool to measure, analyze, monitor and manage your training and racing will prepare you for known challenges and even ones that are unexpected, like wet sand and mud. Like they say in the video, every mountain biker wants to get fitter, ride faster, and to make it easier. But the truth is, it’s never going to get easier, but if you follow the four steps listed below, you just get better. Measure – most power meters are designed to calculate power and cadence, which are indicators of your fitness. Many power meters also measure pedal smoothness and torque effectiveness, which indicate how efficiently you pedal or, put another way, how much energy you are wasting if your pedal stroke isn’t optimized. The data that’s collected by a power meter is then exported to a .fit file, which can be read by a variety of applications specifically intended to crunch sport-performance data*. Or, you can simply email your .fit file to your coach, who can interpret your data to help you reach and hold you accountable to your goals. Analyze – Once you’ve measured your performance – or collected data, you can analyze your data to see where your strengths and weaknesses are with respect to you as a rider, your bike, and influential circumstances (environmental, physical, technical, tactical, and psychological). Monitor – You can leverage your data to track – or monitor – your performance, which is subject to training intensity, pacing, stress, nutrition, overtraining, and fatigue. Manage – Your accumulated data tells you how to monitor your performance in the moment; now you can set long-term goals and manage your performance to achieve those goals. Perception and “riding by feel” are not accurate indicators of sport performance and, while technical prowess can be a temporary substitute for fitness in mountain biking, improved output is the ultimate advantage to outperforming your rivals but more importantly, yourself. To be a better rider than you were yesterday, or the day before, understanding how you can improve will help you become a smarter cyclist.